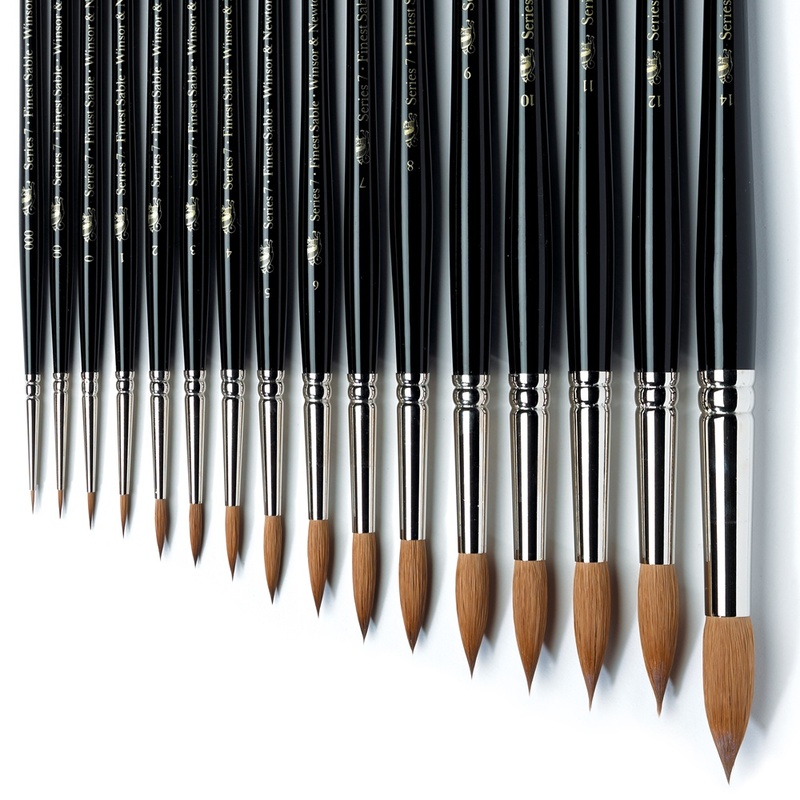 The Artists Water Colour Sable brush range has been created based upon the most popular and useful brush shapes for watercolour painting or fine detailed acrylic. Using Winsor and Newton experience we have improved the profile of the round brush to ensure an excellent belly and perfect point, and introduced a new shape the "Pointed Round", for when extra fine detail with colour carrying is essential. Showing 3 Winsor & Newton Artists' Sable - Series 7 and 16 reviews. Average rating of Excellent. Would you like to write a review? Fantastic brushes well worth the hype surrounding them. These two brushes are sizes 4 and 7, I had already purchased series 16 size 11 the previous week and wanted to complete my sable collection, and also keep it to three, the price I paid Crafty Arts for them both was excellent. Whilst they were a bit expensive, I have found that they are worth it, they hold more water and the paint just flows. Great brushes that certainly help improve one's control. Very pleased with their performance. Though pricey, they do the job and I would buy again. I used for painting Warhammer 40k miniatures. Crafty Arts also got me my order with zero fuss and cheaper than other places when I was looking to buy. Would recommend.